VIDEO: Three practices to help you manifest anything you want! Manifesting your dreams into reality using the Law of Attraction can seem complicated and intimidating...but it's actually very simple. The more you focus on building your manifesting muscle, the more powerful a manifestor you will become! When it comes at aligning with and attracting your most amazing life, consistency is your best friend! 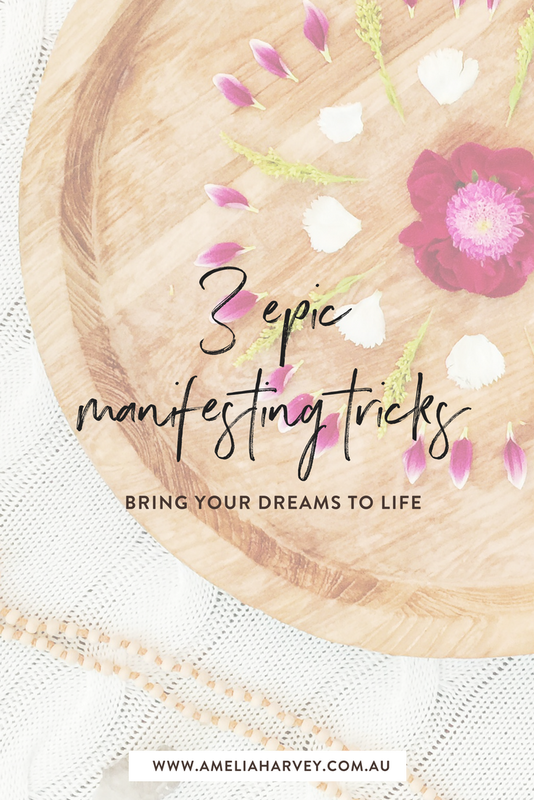 In today's video you'l learn three manifesting practices to keep you on a fast track to making your desires a reality! See, it's actually quite simple! Manifesting doesn't have to be complicated or time consuming - the key is consistency! Gratitude, presence, and inspired action will get you where you want to go. If you'd like to supercharge your manifesting even more, enter your details below and I'll send you a download of my game-changing Manifesting Abundance meditation. Your Manifesting Abundance meditation is now on it’s way to you. If it hasn’t shown up in a few minutes, check your junk folder just in case!